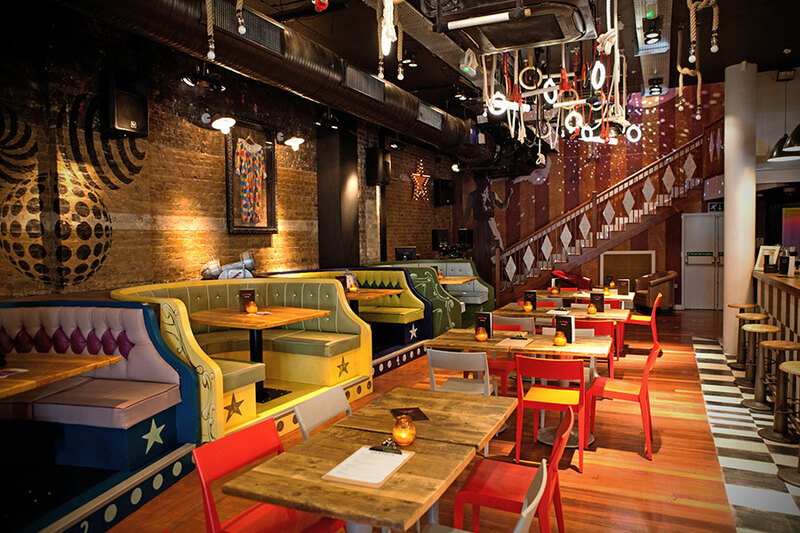 Trapeze in Shoreditch takes its inspiration from the circus which which was our cue to really push the boat out and get creative with the furniture. Creating such an eclectic mix was no mean feat… sourcing and manufacturing such bespoke and distinctive furniture takes dogged determination and a little dash of luck. As we’re located in the Midlands we have access to a wide variety of sources that allow us to partner with many professional trades to deliver more playful products.